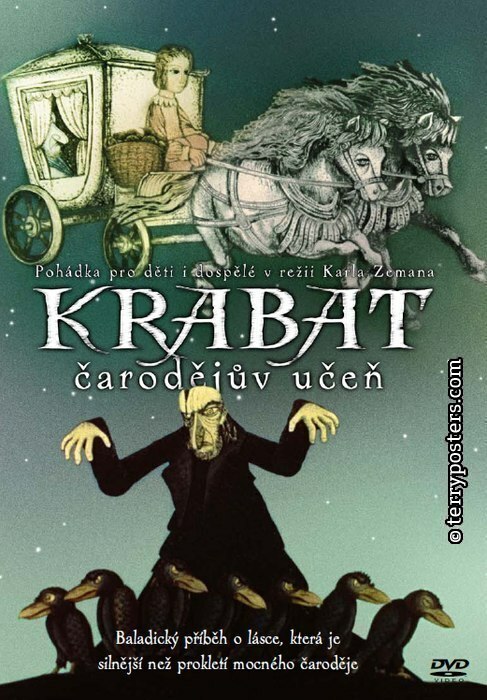 Story : During Christmas three homeless boy are sleeping in the hay when a raven wakes him up by calling his name: Krabat, Krabat, come to the black mill, Krabat. The next day Krabat goes there and starts working as the 12th apprentice for the master of the mill. As time passes he realizes that the moment he started working he gave his body and soul to the sorcerer and his black magic, although this doesn’t seem to bother him until he meets a young, beautiful girl and falls in love. – the story was original compared to today’s generic plots, and gotta say some pretty heavy stuff and animation for a tale addressed to children.